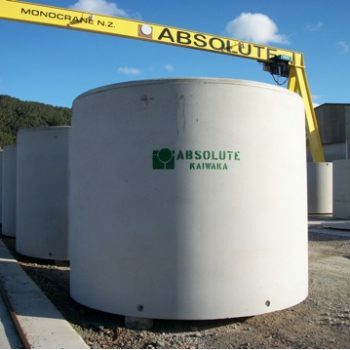 Absolute Concrete have been producing septic tanks for over 30 years. 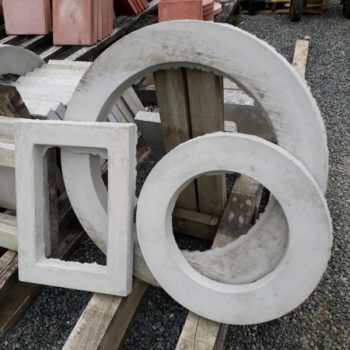 Available in plastered form or in recent times, more commonly in pre-cast format. They are simple, reliable and cost effective solutions for your septic waste. 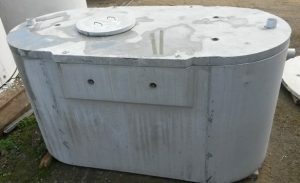 Our precast units hold roughly 6,000 litres and weigh close to 5 Tons and can be Hi-ab’d straight into a prepared hole. Precast concrete tanks provide a much greater density wall format that is much less likely to leach black water that can contaminate ground water. 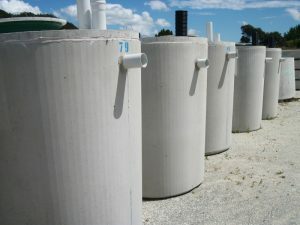 Certain septic tanks designs include siphons or other methods of increasing or decreasing the volume and velocity of outflow to the drainage field. This helps to load all portions of the drainage pipe more evenly and extends the drainage field life by preventing premature clogging. Absolute Concrete manufacture Siphon Septics incorporating the “Super” siphon or the equally popular “Flowking” siphon. Each tank should also include a filter to prevent solids entering the siphon chamber.